Tim is a Postgraduate Research student in the Centre for Transport Studies, and operates within the Transport Systems and Logistics research group. Tim is involved in cross-departmental research towards the optimisation of modularised construction. His research is conducted primarily in the Civil and Environmental Engineering department under the supervision of Dr Panagiotis Angeloudis, additionally a high level of collaboration is observed with the departments of Computing and Design Engineering with supervision from Dr Panos Parpas and Dr Marco Aurisicchio respectively. Tim's research project is focused on optimisation relating to Rolls-Royce's Small Modular Nuclear Reactor project. 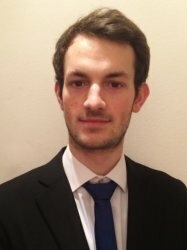 Tim graduated with an MEng degree in Civil Engineering from Imperial College in June 2017. He has previous experience in transport planning, having worked as a summer student at Atkins, and engineering contracting, with work as a student site engineer at Costain.